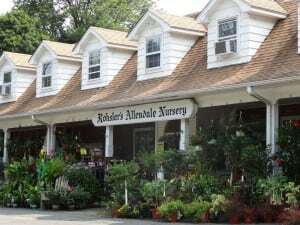 The Rohsler family is embarking on its 5th generation at the sixteen acre nursery in Allendale and Saddle River. The nursery continues to grow many of the plants it sells in its greenhouses and fields including perennials, annuals, poinsettias, mums, hydrangeas and more. We offer our customers an extensive selection of superb quality plants, flowers, gardening products and outdoor accents, along with professional landscape services. 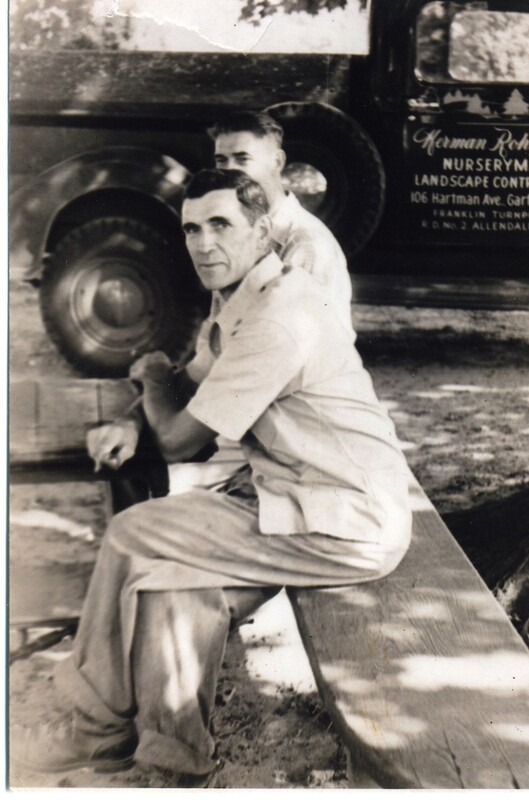 Our nursery’s roots began in Garfield, NJ in 1913 where Austrian immigrant Herman George Rohsler, founder, started growing ornamental plants for the landscape. Around 1925, he purchased 100 Franklin Turnpike from the Tremain family and opened the Allendale nursery location. In 1940 the Garfield nursery located at 106 Hartman Avenue was sold. Until that time, both nurseries were in operation. The Rohsler family is embarking on its 5th generation at the sixteen-acre nursery and horse farm in Allendale and Saddle River. The nursery continues to grow many of the plants it sells in its greenhouses and fields including perennials, annuals, poinsettias, mums, hydrangeas and more. We strive to offer our customers an extensive selection of superb quality plants, flowers, gardening products and outdoor accents, along with professional landscape and floral design services at a fair price. Emphasis is placed on providing expert horticultural knowledge, advice and service to ensure gardening success and enjoyment. Current management and family members are Bruce Rohsler, Eric Rohsler, Mark Rohsler, Dan Rohsler, Robyn Rohsler Ortiz, and Dawn Rohsler. Herman Rohsler in the foreground with his brother Frank under the sugar maple in the front yard in Allendale around 1940. The truck has both the Garfield and Allendale locations listed on it. 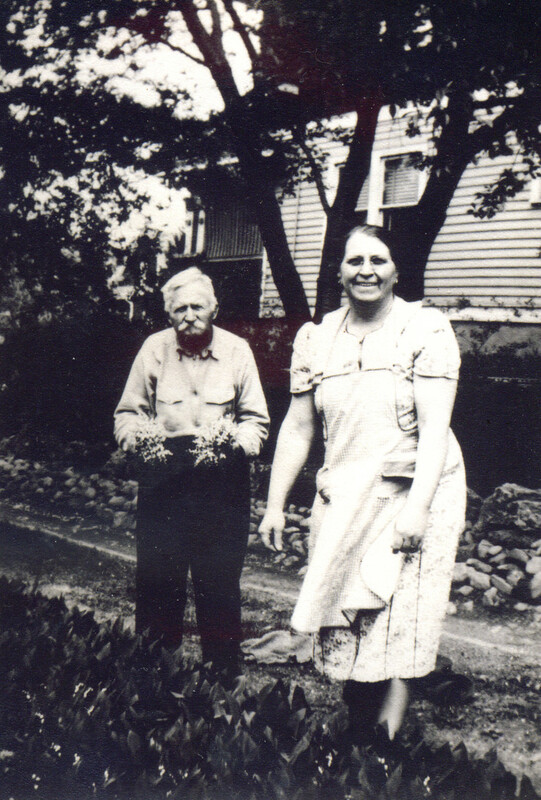 Gizella Rohsler, wife of Herman, with her father (Herman’s father-in-law) Michael Nebesney picking lilies of the valley. The Rohsler family would pick thousands of the flowers and ship them to the NY Flower Market for Mother’s Day. This photo was taken before World War II, most likely in the 1930s. 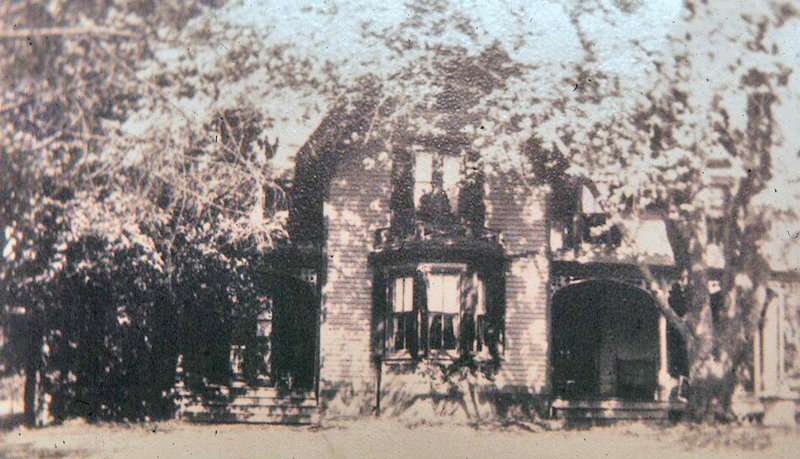 This was the building that stood in the same place as the current garden center does today. 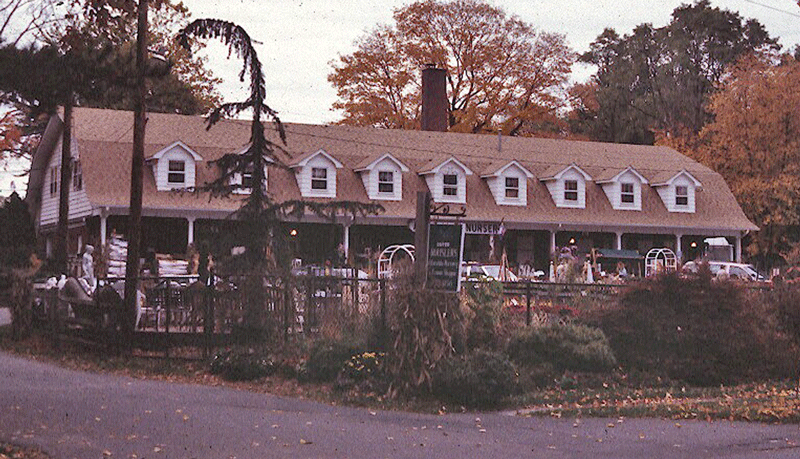 The original burned down in the early 1920’s, all that remained were the two chimneys that the garden center was built around in 1969.